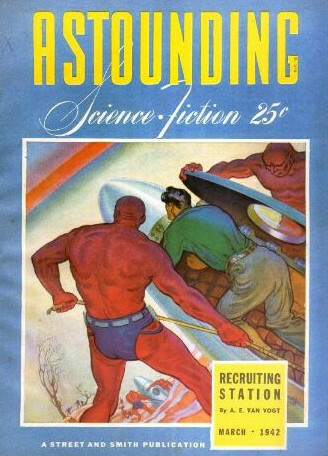 In October 1941 the young American writer Isaac Asimov wrote the science fiction short story "Runaround", which was first published in the March 1942 issue of Astounding Science Fiction magazine. The story (it later appears in the collections I, Robot (1950), The Complete Robot (1982), and Robot Visions (1990)) featured the recurring characters Powell and Donovan, and introduced his Three Laws of Robotics. The appearance in the Three Laws didn't happened at once, but over a period. Asimov wrote his first two robot stories, "Robbie" and "Reason" with no explicit mention of the Laws. He assumed, however, that robots would have certain inherent safeguards. In "Liar! ", his third robot story, makes the first mention of the First Law but not the other two. All three laws finally appeared together in "Runaround". In his short story "Evidence", published in the September 1946 issue of Astounding Science Fiction, Asimov lets his recurring character Dr. Susan Calvin expound a moral basis behind the Three Laws. Calvin pointed out that human beings are typically expected to refrain from harming other humans (except in times of extreme duress like war, or to save a greater number) and this is equivalent to a robot's First Law. Likewise, society expects men to obey instructions from recognized authorities such as doctors, teachers and so forth, which equals the Second Law of Robotics. Lastly men are typically expected to avoid harming themselves which is the Third Law. 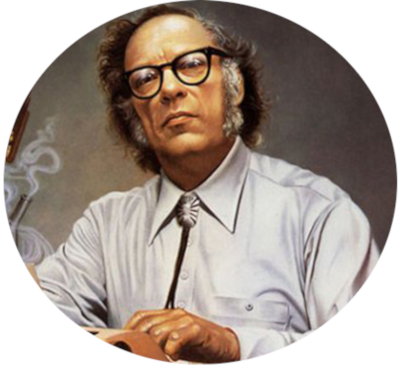 Asimov's Laws quickly grew entwined with science fiction literature, but the author wrote that he shouldn't receive credit for their creation because the Laws are obvious from the start, and everyone is aware of them subliminally. The Laws just never happened to be put into brief sentences until I managed to do the job. The Laws apply, as a matter of course, to every tool that human beings use.